At Eric M. Wilson, LLC, we understand that debt problems can happen to anyone. Maybe you lost your job. Perhaps you just went through a painful divorce. Maybe you or a loved one suffered a serious medical emergency. Whatever the case, we use our resources to help you obtain debt relief through bankruptcy. 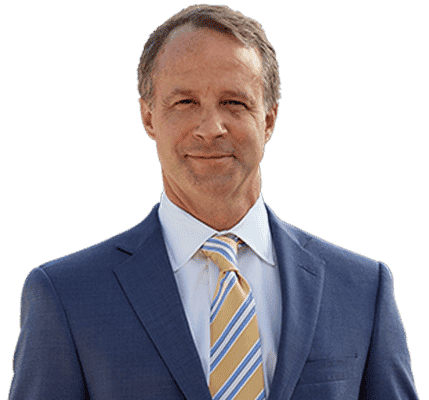 Our firm is led by Tuscaloosa lawyer Eric M. Wilson. We focus exclusively on representing individuals throughout the region in bankruptcy law and consumer protection matters. Most of our staff members have worked under attorney Wilson’s leadership since 1996. We work diligently and efficiently as a team to help you obtain the debt relief you need. Our entire staff is caring, compassionate and dedicated to helping you regain your financial freedom. We provide a quiet and private office setting where you will be treated like a friend or member of the family. Drawing on our years of experience and in-depth knowledge of bankruptcy law, we help you explore your options such as Chapter 7 or Chapter 13 bankruptcy. We take the time to listen to your concerns and understand your unique situation so we can better address your circumstances. Our goal is to help you find the right solution to prevent foreclosure, stop wage garnishment, eliminate overwhelming debts and to help you move forward with your life. We protect your consumer rights from creditor harassment. We also give you the tools you need to continue living debt free once your bankruptcy is complete. We strive to offer a comfortable, supportive atmosphere in which you can feel free to talk about your struggles with debt. We understand that debt problems can be highly personal, and we keep every consultation strictly confidential. When you work with our firm, we include you as a member of our team, keeping you up to date on all developments in your case as they happen. We explain procedures and concepts in clear, easy-to-understand terms so you are always prepared for the next step in the process. Most important, you are never alone in this process. We guide you from start to finish. We are not just another name, number and fee. We are your personal advocates in pursuing debt relief through bankruptcy. Contact our firm at 205-349-1280 or toll free at 205-349-1280 to get started on your case today. Our Alabama bankruptcy lawyer will guide you every step of the way.